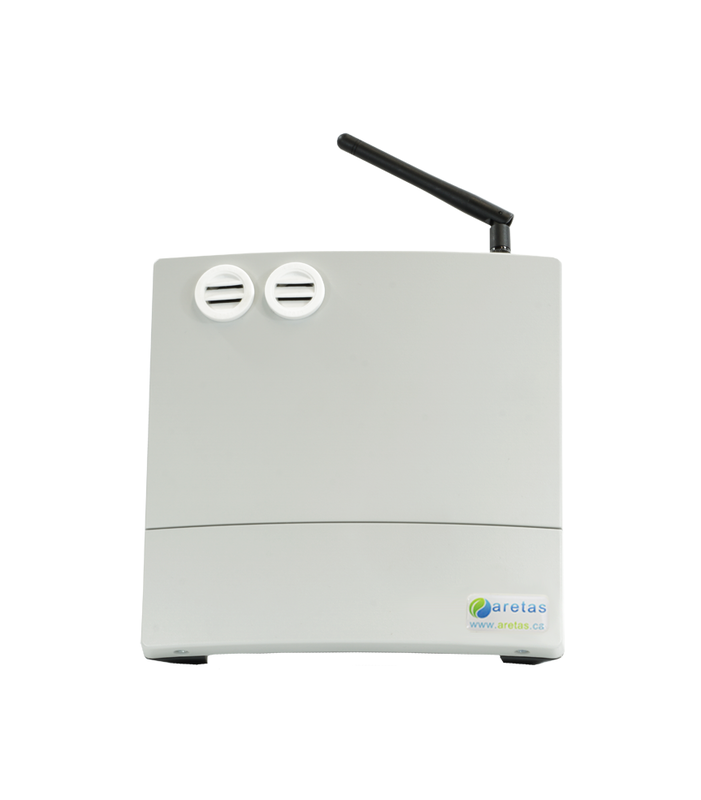 The Aretas IoT Wireless Formaldehyde monitor is an easy to install, wireless system that displays data online and sends customizable alerts via text message or email. 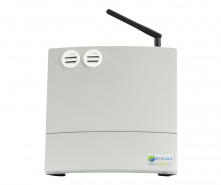 Secure cloud-based data allows decision makers and those entrusted with employee health and safety to monitor Formaldehyde levels from anywhere at any time. Why is Formaldehyde a Concern? Formaldehyde chemical formula CH2O / HCHO is classified as a human carcinogen by the International Association of Research on Cancer (IARC). It can be inhaled or absorbed by the skin upon contact. Long term and short term exposure have been known to cause nausea, burning eyes, headaches, respiratory irritation and aggravation of conditions such as asthma and other chronic respiratory disorders. Formaldehyde is widely used in the production of textiles and building materials and is a common ingredient in resins. It’s use as a preservative makes it prevalent in medical and laboratory settings. OSHA regulations require the short term exposure level of formaldehyde (STEL) to be less than 2 ppm and permissible exposure levels (PEL) over 8 hours to be less than 0.75ppm . HCHO continuous monitoring is a protective and proactive safety measure that will allow you to locate causes of excessive emissions and take action to limit airborne exposure. With continuous monitoring and easy to customize data management you can be assured that emissions are being kept within OSHA or your region's equivalent recommended and required limits for short and long term exposure. Formaldehyde exposure is also a concern in homes in office buildings and has been cited as one of the possible causes of sick building syndrome (SBS). Formaldehyde is used in treated building materials, textiles, furniture and can be emitted from fuel burning appliances such as water heaters and gas stoves. Flooring and furniture made with medium density fiberboard (MDF) is of particular concern and has recently been in the news due concerns over high formaldehyde levels in some imported products. As these materials make up the buildings we live and work in, the effects of formaldehyde off gassing are a serious human health concern that affects not just our personal wellness but has cost in real dollars in terms of productivity and sick time for employees. 1. “OSHA Fact Sheet - Formaldehyde” Occupational Health & Safety Administration, DSG 4/2011, page 1, https://www.osha.gov/OshDoc/data_General_Facts/formaldehyde-factsheet.pdf. Accessed February 2, 2017.